Colin McIntosh is the founder and CEO of Sheets and Giggles. He and his team are working to prepare sheets and bedding items that are sustainable and luxurious. Colin, the 28-year-old entrepreneur who currently lives in Colorado, is a proud monthly donor to the Parkinson’s Disease Foundation and the Save the Children charity. He grew up in Fort Lauderdale, Florida and began his career at Bridgewater Associates, the world’s largest hedge fund, before he moved on to working with different startups and setting up his own company. 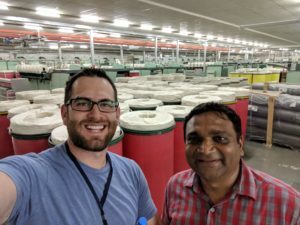 Colin and his team at Sheets and Giggles have been working on using 96% less water while making their cotton sheets. They’ve succeeded in doing so, and for those of you who don’t understand what that means, this 96% water that is conserved equals around 30% less energy used. 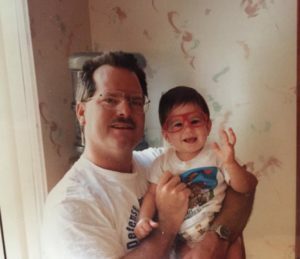 His life story has embarked him on a journey that has resulted in him becoming more compassionate, creative, and a better entrepreneur. Colin McIntosh is an inspiration to anyone who is looking to become successful and he hopes that his story and his company’s initiative will help improve lives. Colin’s full name is Colin Douglas McIntosh. He was born and raised in Plantation which is a small town just outside of Fort Lauderdale, Florida. He majored in Finance and Economics from Emory University, Atlanta and then started work in the world’s largest hedge fund. He’s moved a lot across the United States, living previously in Connecticut and Seattle, but is currently settled in Denver. How does Colin McIntosh measure success? Colin measures his success in the positive impact he can create on his surroundings and the happiness he can bring into the lives of the people he knows and interacts with. He says that while he has impacted some people positively, he wishes to do a lot more long-term. Before Sheets and Giggles, Colin McIntosh was working with a tech company where he was as a member of the founding team. He says that the company was able to ship thousands of units of their wearable tech product. He goes on to say that in the three plus years that he was a part of the team, they received a good amount of praise from their customers. They also received feedback in the form of several stories where people remarked how the product was able to save their lives. He goes on to say that while Sheets and Giggles is just a small startup at this point in time with a very small budget, the company aims to give back as much as it can. He tells us that on top of the sustainability aspect of the sheets that they produce, for every order that they receive, the company plants a tree somewhere in the USA; They are able to do this because of a partnership with One Tree Planted. Similarly, they give one percent of their profits, time and products to the local Colorado community through their affiliation with Pledge One Percent. Through the very same affiliation, they also donate their bed sheets to partnered homeless shelters via their Give 2 Sheets Program. He says that while all this charity work will reduce profits for the company, it will allow the company to make a positive impact every day. “ I want to look up from my computer one day and say, ‘Wow, we’ve planted 100,000 trees this year, without even realizing it’”, says Colin. He says that like a lot of millennials, he hopes to transform whatever financial and business success he achieves into social good. What is unique about the products Sheets and Giggles produces? The bed sheets that are produced by Sheets and Giggles are made from eucalyptus trees, which makes the sheet fabric much more sustainable than simple cotton sheets. The fabric takes up less water, wastes less energy and uses zero pesticides or insecticides (cotton uses around 16% to 24% of the world’s insecticides). The sheets produced by Sheets and Giggles are also naturally more softer and breathable because of their composition, making them a luxury item that is both affordable and sustainable. 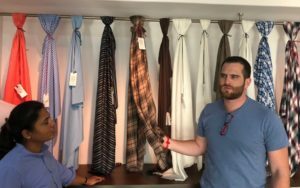 Colin comments that people are starting to realize that cotton is bad for the environment and he wants to help push the conservation forward by letting people know that there are better and newer ways of making fabric. What kind of tragedies has Colin gone through? Colin says that he has been very lucky and has never faced a personal tragedy. His parents have been very supportive and he has grown up in the safe environment. He, however, has unfortunately been through quite a few professional tragedies. Firstly, he was fired from the hedge fund, where he had gained 30 pounds in the 6 months before they let him go. Getting fired just 6 months after leaving college was a bit of a let down for Colin and he became depressed. He had just moved and settled himself in CT and found it challenging to get back up again. Ironically, however, he became a recruiter for the agency that had hired him at the hedge fund and very soon he was helping people out with their resumes on Reddit (where he became famous as the guy to go to for job hunting advice and resume reviews). Very soon, he gained expertise in talent acquisition which would come in handy in the future. He ended up hiring himself in a business development role at a tech startup for a client of his in Seattle; He comments that it was during that time his life changed for the better. However, while working on a random Sunday at his job, he spoke up against a horrifically sexist comment and was fired on spot, and while he does not regret speaking up, it didn’t look all that grand on his resume. This event left him very depressed as well and he believes that if he did not have the support of his friends and his family his life would have gone in another direction. Very soon, he was invited to start working full time in a tech startup which had raised some venture funding and was doing considerably well. He decided he needed to work very hard and started spending 24 hours straight working without stop. Colin remarks that he had to dig himself out of his professional hole and so he told himself that if he worked hard enough, he would have something that he had helped build. If the startup had failed, he would have burned through his 4th job in three years, which would have been considerably problematic. However, the company did become successful and he was immensely grateful for the opportunity to work for it. He remained a part of the core team until he decided to start Sheets and Giggles. What are Colin McIntosh’s goals for the future? Colin hopes to bring as much societal and political change as he can. He has always wanted to run for office and hopes to be given the opportunity to do so. He remarks that while he hates the reality of the situation, it seems that the more successful a person is in business, the greater are his chances at changing the political climate for the better. In the meantime, he hopes to drive positive change through his business initiatives. He also hopes to impact climate change, criminal justice reform, and healthcare reform. Does Colin have any “Words of Wisdom” to share? How is he making the world a better place today? Colin comments that he hopes to produce as much positive impact as he can while operating a for-profit business. He says that they plant trees and give as many sheets as they can to homeless shelters (sheets are the second most sought-after item). He says they try to spread as much happiness as they can by buying their customers free pizza, Starbucks gift cards, birthday gifts and free Netflix from time to time. He says that a small ‘pick me up’ can go a long way and can even make a person’s week! The post Colin McIntosh: CEO of Sheets and Giggles is Saving the Environment One Sheet at a Time appeared first on Born Realist.